Honda unveils Twizy rival at Tokyo | What Car? Honda has brought production of its two-person electric commuter vehicle a step closer, by announcing a field study in Japan to measure its effectiveness in an urban environment. The MC-β is a small four-wheel commuter class vehicle, similar in footprint and function to Renault’s Twizy quadricycle. 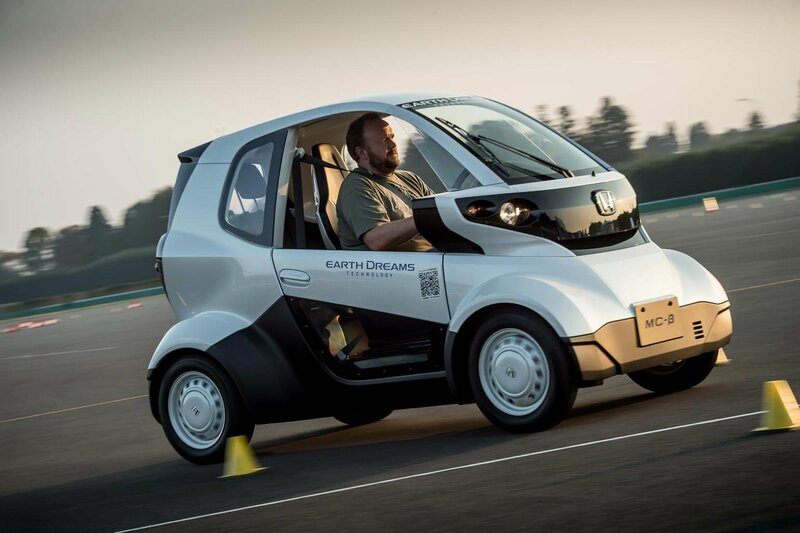 The MC-β, which uses an 11kw motor has a steering wheel, car-like dashboard and two-pedal operation and Honda claim its 40 mile range can be replenished in seven hours from a standard domestic mains socket, or three hours from a dedicated car charging point. It has a top speed of 43mph. The car seats two, although unlike the Renault, the passenger is offset from the driver, to provide extra legroom and a small amount of luggage space. Driving impressions are very similar to the Twizy, with spirited performance up to around 30mph, firm ride and with the emphasis on safe, rather than engaging handling. Plans for full-scale production of the MC-β depend on the result of field testing studies of the car in Saitama City and Miyako-jima.